The fifth of the contributors to the 12 Gifts of Christmas competition is PECKS FARM SHOP! Pecks Farm Shop was established 15 years ago when it was no longer viable to continue milking cows. They still have a follower herd and still deliver milk to the doorsteps of over 20 villages providing a vital service for people in remote areas. They deliver fruit and vegetables and anything else to the doorstep, as part of the service! 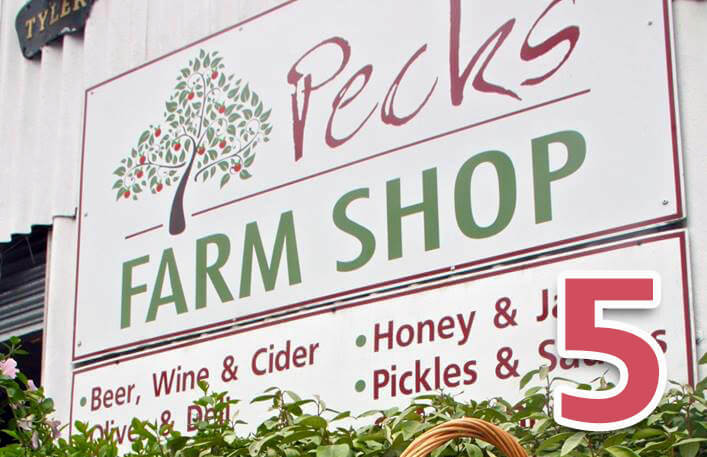 Pecks Farm Shop is an amazing combination of local fruit and vegetables, artisan breads, chutneys, jams, delicious cakes, English wine, local beer and a Gin Temple dedicated to local artisan gins. Pecks Farm Shop have contributed an enormous (2kg!) bar of indulgent belgian chocolate, and a scrumptious locally-made Christmas pudding, bursting with flavour. This means that the value of the hamper is now £132. The Rural Business Awards will match the overall value of the hamper as a donation to the public’s chosen charity. Follow the links to cast your vote in our Twitter or Facebook polls.